The CaseMaster Evolution has been designed using state of the art construction, with processing chamber & loading vestibule, incorporating a quench tank. Cooling may be carried out in two ways: under neutral gas or in hardening oil. 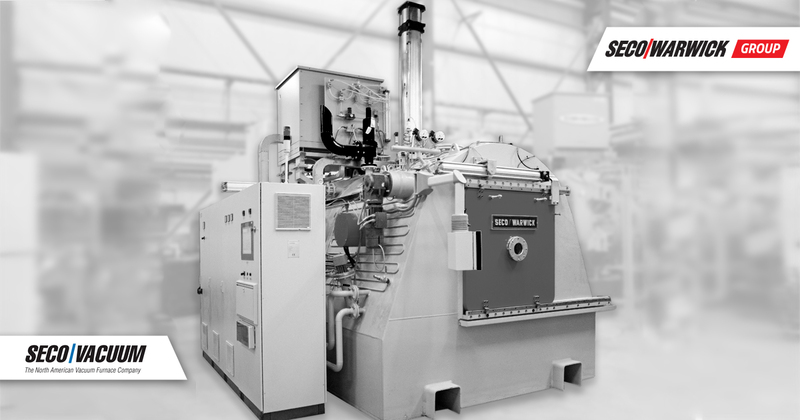 Durable graphite insulation and heating elements provide long, reliable service in this heavy-duty furnace designed for industrial applications. The convection heating system ensures rapid and uniform heating of the load at low temperatures also, which shortens the heat-up time. The high efficiency oil agitation system ensures excellent oil penetration through the workload which results in uniform and fast charge cooling. 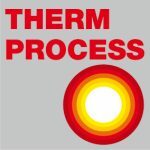 The gas system, pump system, power supply and cooling systems are generously sized to enable a wide range of industrial heat treatment implementations. Material:16MnCr5; netto 400 kg charge; 30 days; 3 shifts; Total proces – carburizing & oil quenching. Tab. 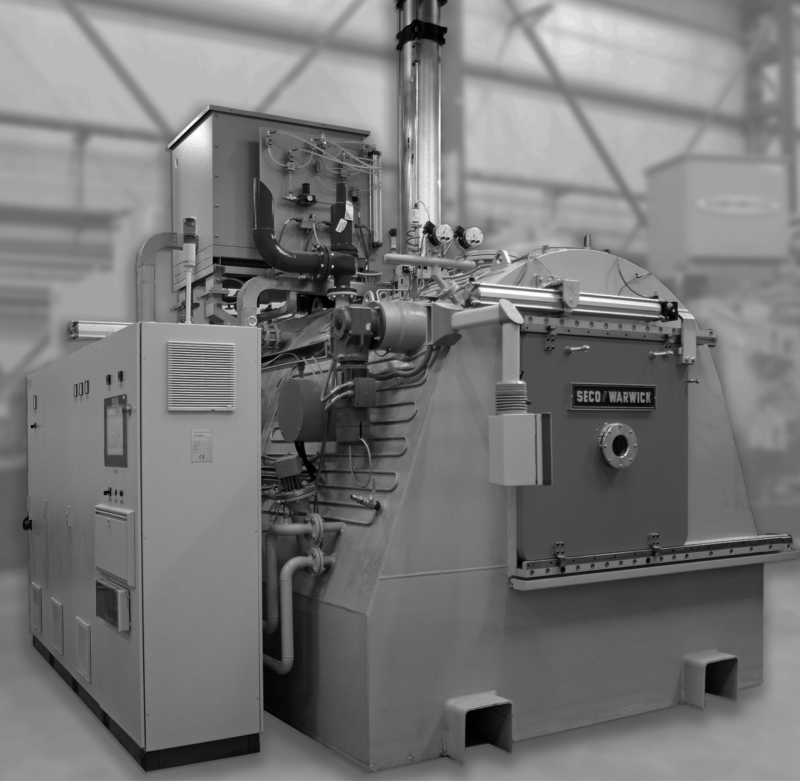 1 Efficiency increase depending on the furnace type (conventional Sealed Quench, CaseMaster Evolution D – double chamber & T – triple with pre-heating chamber) and applied carburizing technology (Controlled-Atmosphere, PreNitLPC®) for the most typical case depth. Fig. 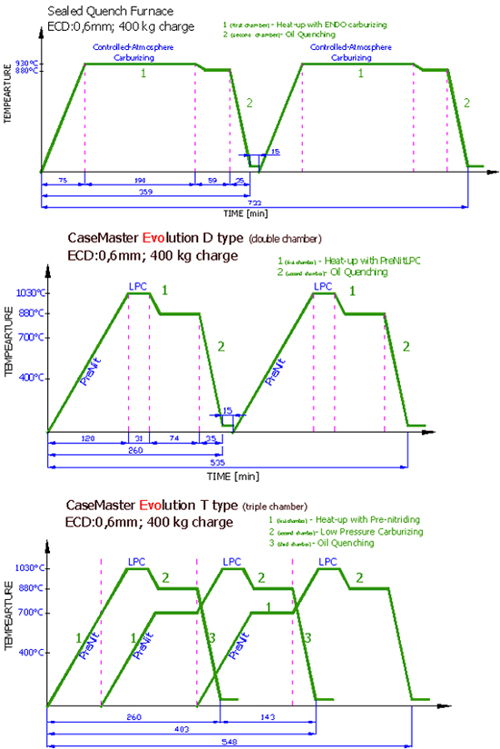 1 Capacity increase in comparison of furnace type: (two chamber Sealed Quench furnace, two chamber CMe D type furnace and three chamber CMe T type furnace; for the typical heat treatment process of 16MnCr5 steel when carburized for 0,6 mm ECD) and applied technology (Control-Atmosphere & PreNitLPC). Customized version can be produced to the furnace dimensions requested by customer.